There is a reason asbestos has been hard-banned in 58 countries. The mineral is extremely hazardous to humans – linked to mesothelioma and countless other life-threatening illnesses. However, the United States has merely litigated its usage in certain products and only since the 1980s. Therefore, its use in insulation, shingles, ceilings, floor tiles, and several other home construction products, is widespread. The number of registered asbestos abatement projects in Massachusetts is on the rise – up 50% in the last five years. The concern in this stems from investigative research recently revealed by WBUR and “The Eye” that uncovers several missteps in the process in which many demolition companies avoid hiring licensed abatement companies to conduct such mitigation and abetment. The report detailed that unlicensed demolition companies were not providing workers with proper personal protection equipment (such as respirators and suites) or putting up containment to prevent the migration of dust, and not providing showers or changing facilities so that the dust isn’t carried home to their families – safety lapses that are as prevalent and dangerous as the material itself. In Massachusetts, it’s required by the DEP to hire licensed inspectors to survey for presence of asbestos before renovation or demolition projects can begin. 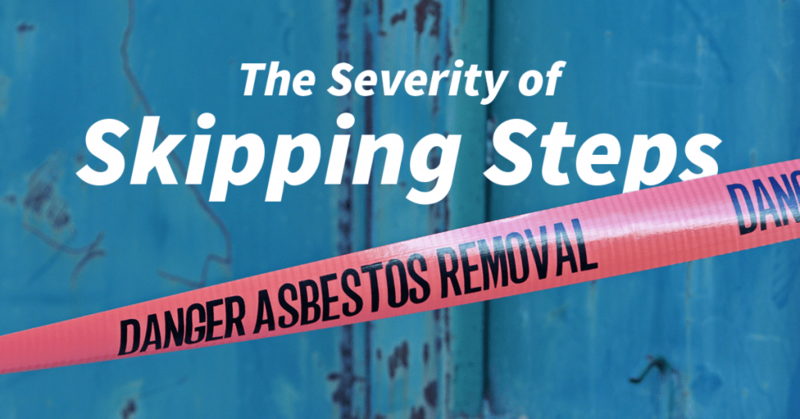 Once that step is met, a licensed asbestos abatement company must go in to remove or abate any asbestos-containing material. Hiring a licensed abatement company will ensure that regulations are followed and that the proper procedures are executed to ensure its workers and the public is safe from asbestos dust, which can take 10 to 40 years after exposure to develop into disease. Hiring or contracting for the unlicensed removal of regulated material can result in regulatory fines and penalties to the property owner, as well as the company performing the actions. We understand the severity of the work we do at Banner Environmental Services. Our team is properly trained, fully-licensed in both Massachusetts and Rhode Island, and competent and well-equipped to safely remove hazardous materials in demolition, abatement, and remediation projects. For a free quote on your next demolition or asbestos-abatement project, contact us. To read more about the rising concern of ill-handled, asbestos-related work in the Massachusetts and Rohde Island, click here. I think it is a good thing that asbestos removal projects continue to rise. I think too many people dismiss this danger and take it for granted. It is a serious issue that should be dealt with when moving into a new home. It’s scary to think that asbestos can be so dangerous! It makes sense that you would want to have a professional remove it if there is any in your home. They don’t skip steps, after all!